Awaken your senses with Yoga. Explore new tastes in Spanish wines. Savor 5-star organic, farm-to-table cuisine. Immerse yourself in a place that boasts nearly 1000 years of history. Blue Osa Journeys brings you a Yoga Retreat in Spain with Yogi Aaron. There is almost no better place on earth to discover great wine, sensational cuisine, and practice yoga. This is why Blue Osa Journeys has chosen The Hacienda Zorita–with its stunning 13-century chapel–in the Duero Valley of Spain.Hacienda Zorita Wine Hotel & Spa’s picturesque setting is known as “the land of bread and wine,” owing to its traditional agrarian culture and a profusion of world-class vineyards. More than living up to this culinary heritage, Hacienda Zorita’s Michelin-starred chef, Victor Gutierrez, serves up delicious Spanish cuisine paired with wine from the expertly stocked cellar. Hacienda Zorita commands sweeping views over the local vineyards and nearby Tormes, and is just a short distance from the center of Salamanca–“The Golden City”–and one of the finest renaissance towns in Europe. “This is not for everybody. Just for those who already find luxury hotels and beach resorts a bit tiresome and are ready to run the extra mile to get the one thing only a few privileged can afford: privacy. If you have not experienced yoga with Yogi Aaron before, you are in for quite a treat.Yogi Aaron brings passion and adventure to his teaching. Inspired, he guides students to secret and far-flung locales, empowers them to realize their own limitless potential, and makes yoga relevant and accessible for the modern world. 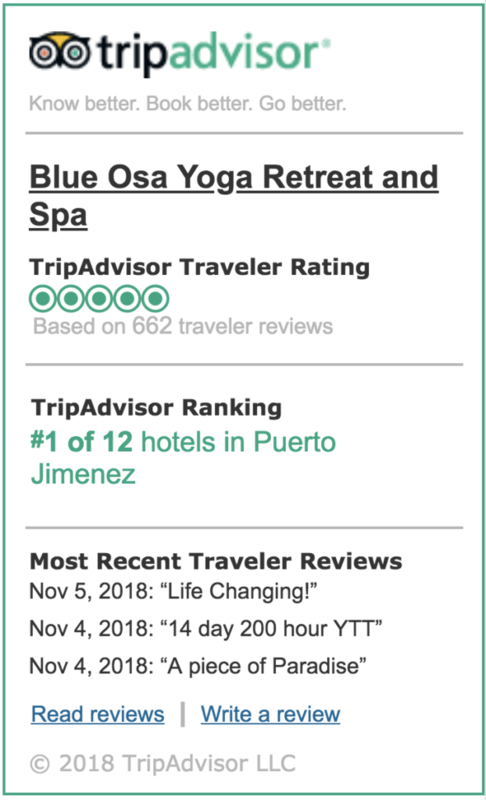 Since 2002 he has been traveling and leading retreats worldwide and currently serves as yoga director at Blue Osa Yoga Retreat where he leads One-Month Immersion Yoga Teacher Trainings. Click here to see four videos with Yogi Aaron. And to make your yoga experience even more memorable, the space we will be practicing in is a breathtakingly beautiful 13th century chapel. This retreat is created specifically for people who enjoy wine–and there’s no setting more perfect than the gateway to the Tierra del Pan y del Vino, the land of bread and wine. Vines have been growing here since 1366. Hacienda Zorita is also Spain’s first small luxury wine hotel. They didn’t invent this place — they just found it. Click here to learn more about the wine tasting experience you will enjoy during this retreat. This site has been farmed since 1366–and it shows. They cook what is grown here, nothing else. There is no better place to taste farm-fresh food than here in the heart of the Duero Valley. All the core ingredients used in Zorita’s Kitchen have been directly sourced from their own organic farm, only 15 minutes away from Hacienda Zorita. And with an interior inspired by Dominican refectories where monks dined at communal tables, you may just feel you’ve been transported to another era. Our yoga retreat takes place near Salamanca, in the heart of the Duero Valley. Arguably one of the most beautiful places in the world, the Duero Valley is crossed by Europe’s longest “wine river,” the Duero. The Hacienda Zorita is situated right on the riverbank, just minutes away from the monumental Plaza Mayor. The lively city is undisputedly the Valley’s city of Culture: a UNESCO World Heritage site populated with some 35,000 students and an endless number of beautiful palaces, cathedrals, churches, museums, restaurants and more. It also houses Europe’s third oldest University, comparable to Oxford and Bologna. – Mercedes Perez de Castro, Interior Designer. The Standard – Comfortable 24 square metres rooms overlooking the river. Featuring a bathroom equipped with bathtub or massage shower, hair-dryer and bathrobes. Rooms are air conditioned and offer minibar, telephone, wireless internet connection, LED TV, DVD, pillow menu on request. The Villas – Indoor 70 m² bedroom & lounge, with en suite bathroom. Private garden and chill out areas. Private Cellar, from which you can sample any of the 12 bottles of our MARQUÉS DE LA CONCORDIA Family of Wines collection. All the Villas have iPod docking stations and Nespresso machines. The weather at this time of the year in Salamanca will be perfect. The daily temperature will be a high of 75 F / 24 C in the days, with a low of 48 F / 9 C in the evenings. Why is this journey in May and not some other month? The weather makes this time of year one of the most ideal. With the coming of Summer Solstice, the days will be long and pleasant. Not quite summer, the heat of the day will be enjoyable, instead of the unbearable heat of July and August of nearly 100 F / 38 C.
Yes! – we will start a Facebook group page that you can join and connect with others to see if they might want to share a rental or travel with you. There are many options and ways to get to Hacienda Zorita. Whatever you decide, we strongly suggest renting a car. Hacienda Zorita is a mere 10 km from Salamanca. You will have time in the week to take your car and venture off in any direction you wish. The best way to get to Hacienda Zorita is to fly to Madrid, rent a car there and then drive. It is a beautiful 2 to 2 1/2 hour drive. If you wish to come from Barcelona, the drive is about 9 hours. If you search on Priceline, you can always find really incredibly low rates for renting cars. The other option is to fly to Madrid or Barcelona and then take a short local flight to Salamanca. Once you leave the airport, simply catch a taxi and they will bring you to Hacienda Zorita. We have been told the fee for the taxi is 30 to 40 Euros. What is driving like in Spain? One word. Fabulous! Spain has an amazing infrastructure and road system. Whenever you have wifi, you can Google Map your destination on your iPhone and have your route planned out ahead of time. However, there is one word of caution. There are speed cameras everywhere. But there are always gigantic signs warning you, so please be careful not to speed. Additional transportation costs – we are not including transportation to the tours which is one reason why we are encouraging people to share / rent cars. Incidentals, drinks, etc. A wine tasting experience is included in the retreat. Spa treatments from the Hacienda Zorita Spa. Tours or excursions. We are including two excursions. 1. The breakfast brunch is really big, delicious and we suggest taking a couple of hours to enjoy and graze. 2. You may take the afternoon to venture into Salamanca or places close by. This will give you the opportunity to enjoy some Spanish Cuisine in other venues. There will be one night when dinner is not provided. Our thought was that this will give you the opportunity to have a night apart from the group to dine in another locale. All throughout Spain, and especially Salamanca, you can find restaurants offering stellar Tapas. Yogi Aaron always teaches students of all levels. However, he has two general rules for students who want to study or take class with him. No you do not need to speak Spanish. All throughout Spain, most people working in the service industry know how to speak English. Those who do not enjoy or drink wine. What if I can only come for 6 days? That is completely fine. But the price of the retreat will stay the same. Please contact the Hacienda Zorita directly to book more days. Is the water safe to drink or do I need to purchase bottled water? The water is completely safe to drink from the tap. Bottled water is also made available for purchase at the hotel. Our recommendation is to always pack light. You do not need much and there is laundry service available at the Hacienda Zorita. We will also not be dining formally any evening. You must bring your yoga mat. They will not be provided for. Please do not come assuming we will have one for you. We will not. There will be none available. You “might” be able to purchase one nearby. The temperatures fluctuate. Daytime will most likely be sunny and warm. In the evenings, the temperatures will drop. If you are traveling from the USA and North America with a carry on, kindly remember that airlines in Europe are sometimes very strict with the carry on limits and you will most likely be charged. Please double check with the airlines. What is Blue Osa’s Cancellation and Refund Policy. 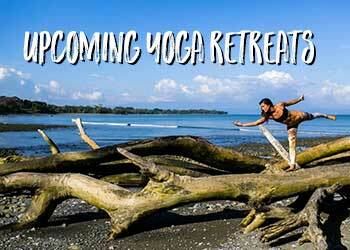 All fees paid for workshops and retreats are non-transferable and non-refundable. In paying for a workshop, you agree to these terms. The wine tasting experience is unique, introducing wines along with Zorita’s cheese and olive oil. Along the experience, the guest will taste three wines, two types of cheese produced on Zorita’s organic farm and a bit of olive oil. Starting with a white wine: Vega de la Reina. Verdejo. D.O Rueda. A fresh white wine with a tropical fruit flavor, an intense volume in the mouth, good to combine not only with white meat and fish but as well with cheese *something that not all the white wines can be paired with. The second wine will be: Hacienda Zorita.Tempranillo. V.T.n Catilla y Léon. A red wine made 100% from tempranillo grape, clean, bright and shining when it comes to its color with a well balanced acidic taste in the mouth. The third wine is: Hacienda Zorita Syrah. A red wine with 4 years of aging * 2 in the barrels and 2 in the bottle, clean shining color without any sediments; however when it comes to the mouth the wine has a gentle astringency and a presence of tannins. After the wine we do a tasting for two of the cheeses produced in Zorita’s organic farm, a raw goat milk cheese and a raw goat milk tart cheese. During this part of the experience we explain the process of making cheese and the indications of quality. And to finish the experience we go through information regarding Zorita’s newest product–Olive Oil–studying the stages of the Olive Oil in the mouth.